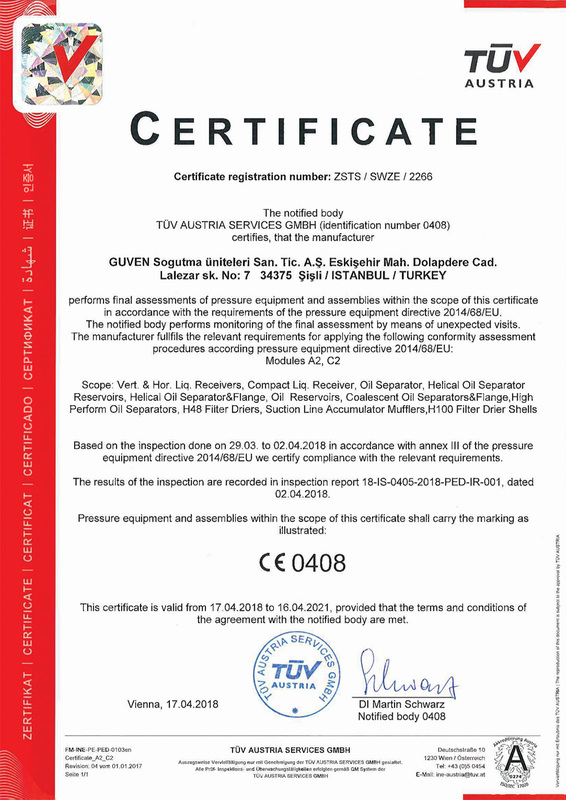 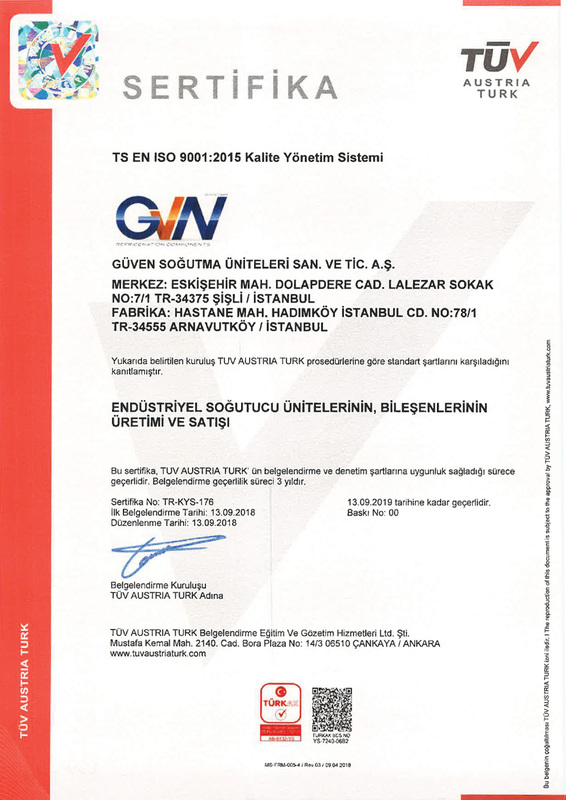 ISO 9001:2015 - Guven Sogutma sustains its leadership in its field of business through procuring the certification of its ISO 9001:2015 compliant Quality Assurance System by TÜV AUSTRIA. 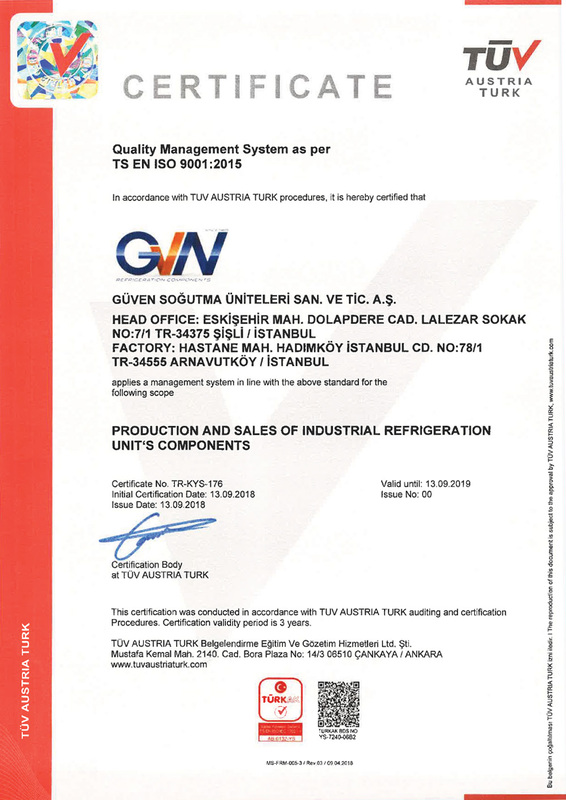 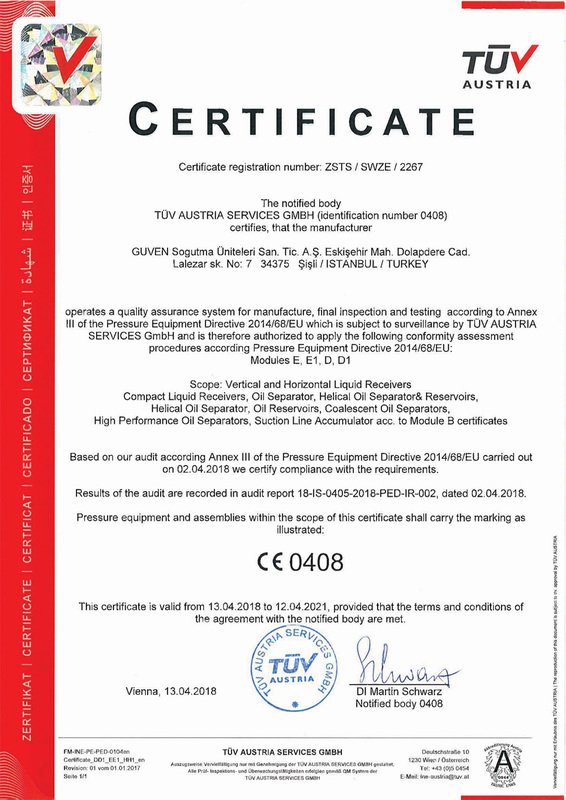 CE 2014/68/EU - All GVN Refrigeration Components products are manufactured in pursuance of the Pressure Equipment Directive CE 2014/68/EU and audited by TÜV AUSTRIA. 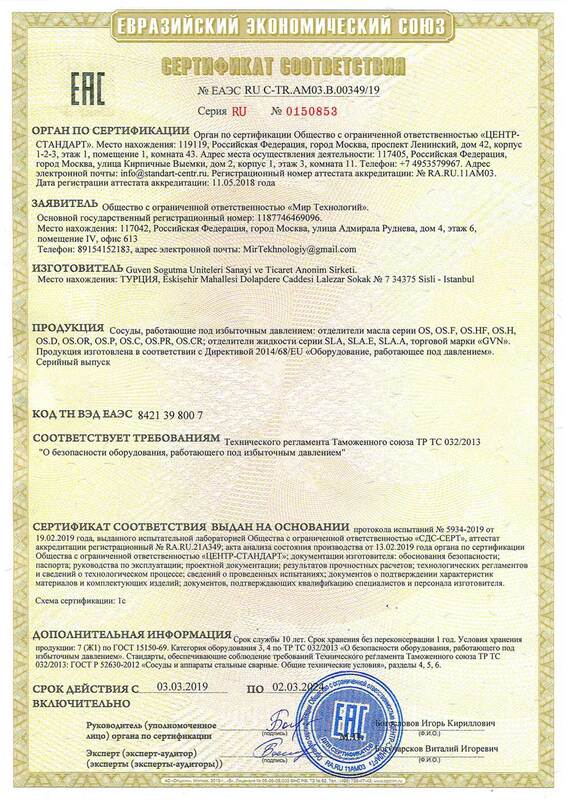 EAC RUSSIA - All GVN Refrigeration Components products are manufactured in pursuance of the EAC and audited by SERCONS.